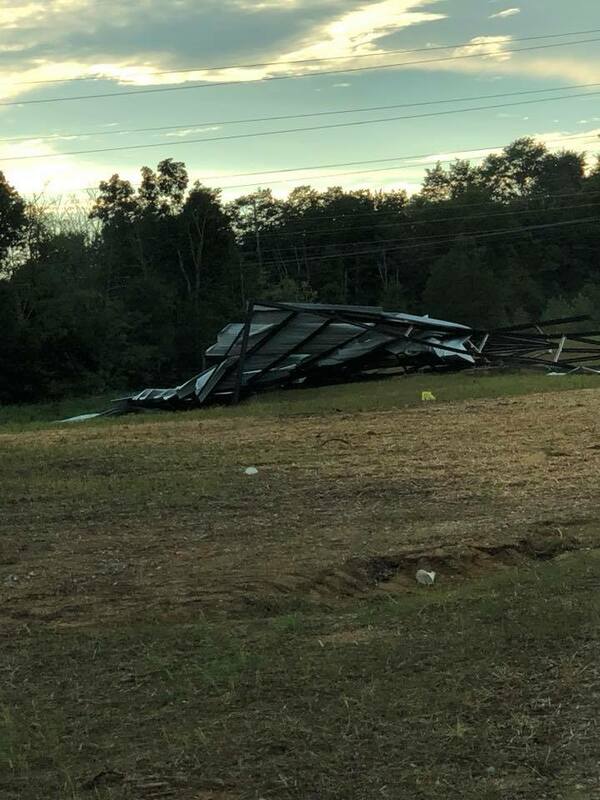 Ever since a storm caused the drive-in's movie screen to collapse, the community has been wondering whether or not they will rebuild. La Grange, Ky (WHAS11) — Back in August, Oldham County got the news that the Sauerbeck Family Drive-In Theater would be opening. After having a small pre-launch show, the drive-in opened its doors and became the county's only movie theater. What made this an experience was the fact that it was an old-school drive-in. Cars parked outside with the sound coming in through your car stereo and a huge 60-foot-tall by a 90-foot diagonal screen. But, disaster struck on September 5th when that very screen collapsed in a storm. Thankfully, there were no injuries, but Oldham County was saddened to hear about the damage. Image showing the damage caused to the movie screen back in September. Ever since then, the community has been wondering whether or not the drive-in will rebuild. Well, they announced on their Facebook page on Friday that they will definitely be rebuilding. We are excited to announce that we have begun construction of our new screen! The structure has been redesigned from the ground up and will have a new 'face' that will provide much better picture clarity. We are pushing to be open as soon as possible to catch a couple of the big movies coming soon! No word yet on when the drive-in expects to be showing movies again, but it is great news for Oldham County to hear that they will be getting their theater back. For updates on their progress, but sure to Follow the Sauerbeck Family Drive-in on Facebook or check back on WHAS11.com.